Well, it's no secret that I'm a huge fan of Aubaine. No, they didn't pay me to say that. I've been a regular for years now. 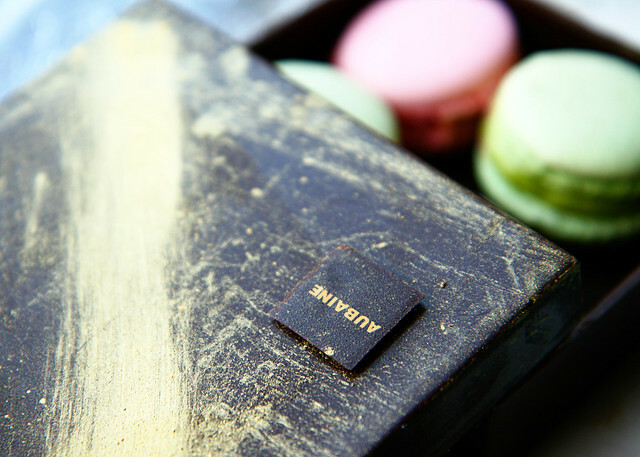 It's one of the best places to people watch (designer bags galore along with some of the best dressed ladies to date), their pastries are to die for and the service has always been exceptional. Last week, I received a rather puzzling tweet asking me to pick up my Valentine order from Aubaine. It turned out that they were gifting their favorite UK bloggers with a Valentine's Day surprise. I'll be lying if I didn't say I was incredibly flattered and touched by the thoughtful gesture. The macarons were THE best bribery tool to keep your kids (Lil L and her friends) in tow. Rule number 1 when it comes to parenting - When in doubt, bribe. One eye on the sweet treats and the other on their dinner. Let's just say that for once, I didn't really have to repeat myself a million times about not finishing their dinner. For me, the best bit was the dark chocolate box which is being rationed out to last the entire week. The hubby knows that there's no use buying something that I don't really want even if it's expensive. He decided to surprise his cheapskate wife who has been eyeing the Shu Uemura lash curler for the last century but couldn't bear to part 20 quid for the beauty contraption. He's still mystified by the "torture tool" but hey, if the wife's happy, he gets extra brownie points (aka no nagging when there's a trail of clothes on the floor). 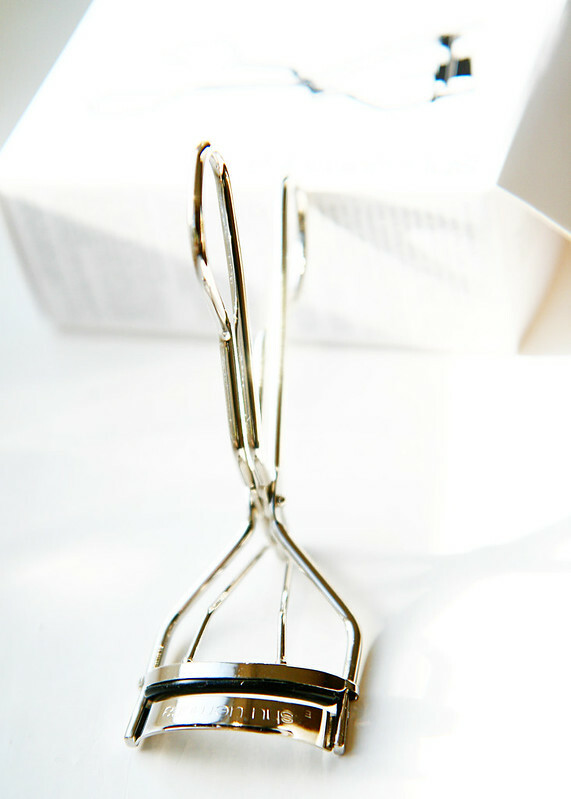 Ahh....Shu Uemura lash curler, where have you been all my life? It's definitely designed for the Asian eye and fits over my eyelid perfectly. No pinching, no tears (yes, I nearly snipped my eyelids off) and finally, my sparse short lashes now look amazingly long. 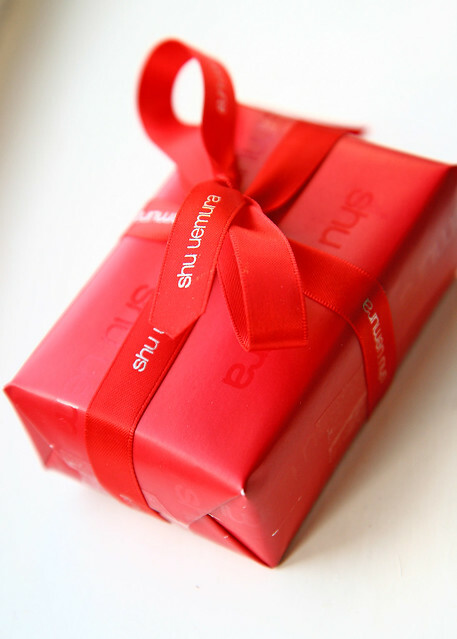 Well, if you're crazy about Shu Uemura and Karl Lagerfeld, you should check out the result of their collaboration. Oh I've got that one too and utterly love it, it really is the Rolls Royce of eyelash curlers. I bought a Tweezerman eye-lash curler when I was in the US. At first I wasn't sure if it made much difference, but now that I'm used to using it, I think it does. What makes me laugh is my 12 year old daughter watching me in horror and saying 'but doesn't that HURT?'! I have an old one which I tried the odd time and it really did feel like torture so maybe this might be the one that does the magic because my lashes are so ridiculously short, it's criminal. I always felt like I was having them ripped out so I eventually just gave up. Plus I'm lazy. Look at those macaroons! :D Yum! 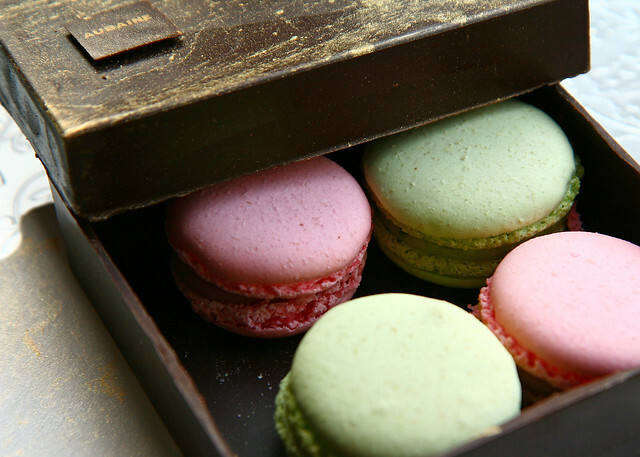 I really like the idea of a chocolate box holding macarons. Such a thoughtful present! I am a huge fan of the eyelash curler and love that particular one - it really makes all the diff doesn't it? Happy V Day, Marlene! May your marriage be enriched in every way in the years ahead! Good things come in small packages.. Happy belated V Day to you and Mr! My Shu Uemura eyelash curler has been with me for more than a decade and still going strong. Def worth the (not unreasonable) $! aww those macaroons look amazing!! And I love the box they come in. I've never really got eyelash curlers.. I don't know if it's just the shape of my eyes or that my eyelashes already curl quite a bit that I don't find they really do much.. my issue is making mine look thicker! I laughed at the no nagging when there's a trail of clothes on the floor!! LOL. The hub does it too and yah..I NAG. :D Sounds exactly like a scene played out from my life.